Judson’s five-year Strategic Plan is coming to a close at the end of this academic year. 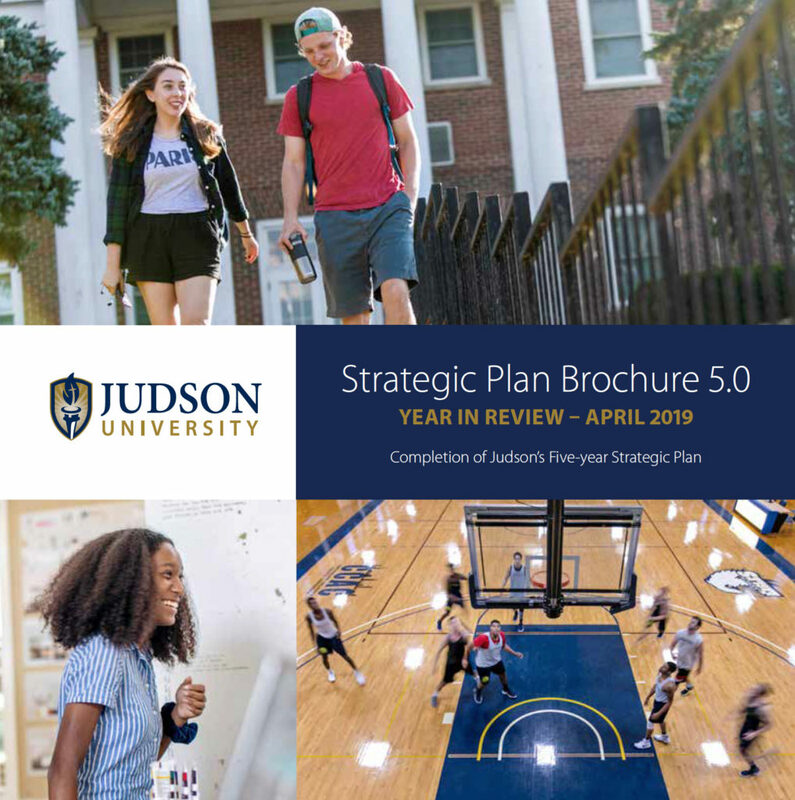 See what progress Judson has made when it comes to the university’s Strategic Plan and see where we are headed from here. There will be an update about the plan on Wednesday, April 10, from 9-10 a.m. and Thursday, April 11 from 2-3 p.m. in the Reed Room of Lindner Tower. All students, faculty, staff members and community friends are encouraged to attend one of the two presentation dates. The same presentation is made on both dates to allow as many individuals to attend as possible.